Looking for private in-home or in-studio Theater Acting classes? Our Bryn Mawr teachers are ready to get you started. Find your teacher today! Check out some of our most popular teachers near Bryn Mawr, PA including Philadelphia, Princeton, Wilmington, Trenton and West Chester. Acting lessons consist of working with a monologue or soliloquy. Students learn valuable skills such as characterization, relationships, motivation, and much more. Source materials include Uta Hagens's "Respect For Acting," and Michael Shurtleff's "Audition." Having spent a lifetime on the stage in many roles, many capacities, I have accumulated a vast amount of knowledge pertaining to all facets of performing; be it theater, television, film. While not subscribing to one particular "method", I stress "reacting, not acting", and believability of performance. All ages and experience levels have benefited from my approach. Whether a student is an aspiring actor, or a working actor sharpening their skills or prepping for an audition, I provide a solid foundation and practical knowledge and guidance. I have been teaching and coaching actors for 20 years. My students work professionally on stage, TV and film. Within the first few lessons, you will understand how to create a character. Soon, you will have the skills to book a role. I specialize in method acting, but draw upon my experience at The Second City (improvisation) in Chicago and other training I have had. I love working with students of all ages and experience levels; I can't wait to meet you! Are you working on a part for a play or film and need assistance? If you are new to acting, I can teach you what it takes to be an actor and how to bring a character to life. Do you need to prepare for an audition? Do you want to learn about the business of acting? Script analysis? I can help. I can help with your audition for performing arts high schools. My students have gotten into the schools of their choice. If you have training or are a working actor, I can help take you to the next level. 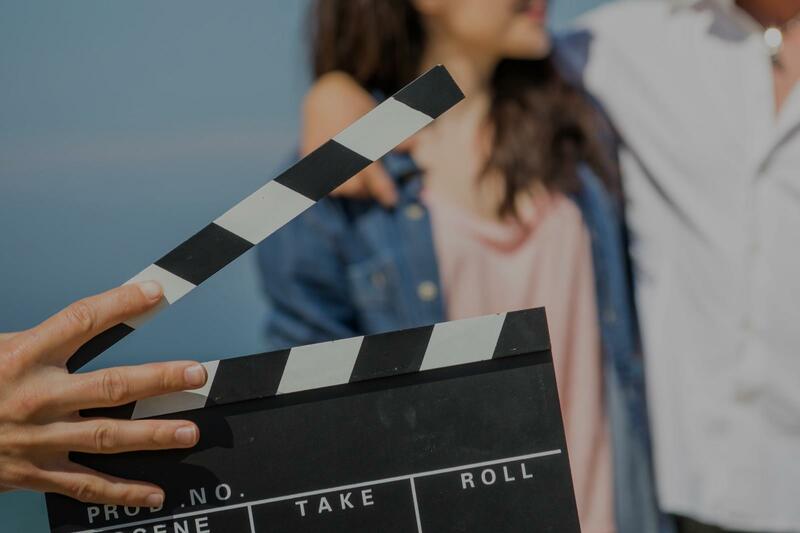 students, both at the Institute and from private coaching, have appeared in independent stage and film productions, TV shows, commercials and Hollywood films. Acting is the art of bringing a character to life. I use the Lee Strasberg Method, my original exercises and a fun and serious demeanor to help actors express themselves as artists and gain the confidence and skills they need in order to book acting jobs. My book, "The Young Actor's Handbook", is published by Applause Theatre and Cinema Books. "The Young Actor's Handbook" ignites the beginning actor's creative soul with acting exercises, acting theory, writing exercises and insight into what it means to be an actor. This is a pragmatic manual that guides and informs the young actor, beginning actor, novice acting teacher or anyone who wants to understand acting. My son enjoys his acting lessons immensely. Jeremy always makes him feel comfortable and at ease. His method is fantastic. He's kind and understanding and extremely helpful. I can't wait for my next lesson! I wholeheartedly recommend him! I enjoyed the improv games we played. I needed encouragement and Jeremy gave it to me. Students will learn everything from emotional preparation to what to do if you are emotionally dried up before a big performance! Students will gain foolproof techniques so they will never feel unprepared, whether it is an audition or performance. I am a trained actress in my late 20's. I have experience coaching many professional working actors. I have worked on audition sides for TV (Law & Order, Narcos, Disney, SMILF, etc), independent films, big budget studio films, web series, off broadway plays, off off broadway plays, monologues, and anything in between with my students! I am currently the creator, writer, lead actress & executive producer of my own comedic web series (to air mid-2018). I have been trained by exceptional teachers in the following: Linklater (voice), Williamson (movement), film/tv & theater, script analysis, theater & film history, cold reading, monologue, stand-up comedy, etc. I have also been mentored by the legendary standup comedian Rick Crom. get the best headshot?, what things should I be doing everyday to reach my acting goals (some may not even be acting/writing/comedy! )?, how do I get in front of this specific casting director/producer/etc?, what events/workshops should I be attending? We can go over all that plus how to deal with nerves, get through personal blocks, fear-related patterns, and other things that may be holding you back from being the best artist you can be! I believe training is so important so congrats on taking the first step towards a successful, exciting career! I can't wait to share my passions with you! I have a self tape set-up with a backdrop, professional lighting & tripod. I am happy to be your reader & coach as we film your audition, scene or stand up set. We can use this as a tool to improve or film a self tape audition. We can also chose your best take together. I have extensive experience in theatre and now film. I think I offer ways for students to give honest performances, whether for auditions or scene study. Additionally, I have developed through my own experience successful approaches to auditioning that should benefit any student. If an audition, I can help you allay those nerves and help you reach a place where you show to best advantage. You CAN be in charge of that audition space. If scene study, I can help you break it down for maximum impact. Whatever your needs, I'm here to help and facilitate. I have many years of experience in theatre, both in Chicago and New York. I have recent experience in film (film I acted in was Best in Middle Coast Film Festival/1918). I offer my students tools and techniques that are practical and accessible. These techniques work. I am an AEA/SAG-AFTRA actor with award winning and award nominated performances teaching industry standard techniques that have been generously passed on to me by my long time mentor and coach who had a career on Broadway and in film and television in L.A. I have worked extensively as a performer on stage, television, and film both in Phoenix/Tucson and in New York City. My body of work includes farce, contemporary drama, Shakespeare, melodrama, industrials, commercials, and musicals. I've coached online one on one for several years and my students get results. I am a professional actor with award winning and award nominated performances. Member of Actors' Equity Assn. and Screen Actors Guild. Skilled in both comedic and dramatic roles. Extensive stage experience as well as on camera and voiceover credits. Body of work includes farce, contemporary drama, Shakespeare, melodrama, industrials, and musicals. Co-lead in the BBC docudrama "Nuclear Secrets" directed by Chris Bould. Supporting and featured roles in theatrical release, indie films, and television including the Lifetime mini-series "Maneater" directed by Timothy Busfield. Lead and co-lead in live industrials. Facilitator for many live events. Visiting instructor of theatre at Fort Lewis College. Currently I am an on camera acting coach. I recently moved from NYC where I worked on stage both regionally and in NYC. e opportunities on camera both in feature film and television. Specialties: Skilled at telling all kinds of stories including sit-com, daytime dramas, episodic, industrial, voice over, and feature film. Trained in voice, comedy, drama, audition technique, scene prep including improv. Dialects in recent roles have included, Southern, Irish, English, and German. As an on camera coach I teach audition technique, cold reading, commercial prep, improv, and scene prep. I'm also a good water skiier (can't wait to use that)! With a keen eye and unending mastery John Pallotta vision's the actor inside of you and like a craftsman, he pulls that vision into reality. As an acting teacher, he is a master of the human condition. He sees our potential as human beings and teaches his students to free their true nature through acting. John's method is aimed exclusively at unleashing the actor's emotional power. John's focus as a teacher of the craft is to help each and every one of his students finds their own voice as an actor. Acting is a process. It is a journey of discovery. It is a living breathing process that happens each and every day and does not happen overnight. Becoming an actor is learning a new way of thinking and about the way you look at life. Just as you make choices in life that determine your success or your failure. It goes the same for the choices you make as an actor. With a keen eye and unending mastery John Pallotta vision's the actor inside of you and like a craftsman, he pulls that vision into reality. As an acting teacher, he is a master of the human condition. He sees our potential as human beings and John teaches his students to free their true nature through acting. John's method is aimed exclusively at unleashing the actor's emotional power. John's focus as a teacher of the craft is to help each and every one of his students finds their own voice as an actor. Acting is a process. It is a journey of discovery. It is a living breathing process that happens each and every day and does not happen overnight. choices you make as an actor. Can't find a teacher in Bryn Mawr, PA?